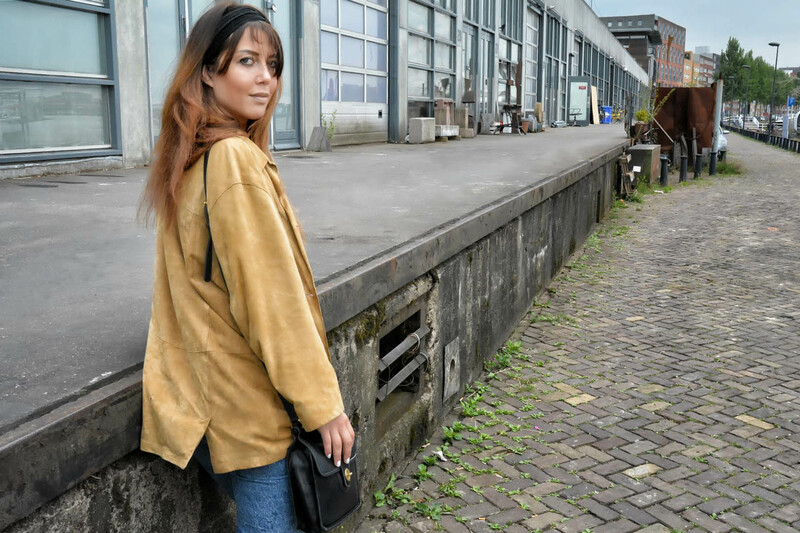 It was supposed to be summer in Amsterdam during my visit, but unfortunately it was cold and grey most of the time, which reminded me why I live in the Middle East 🙂 However, this gloomy weather did give me the opportunity to wear a nice vintage jacket; an opportunity I don’t get very often in Dubai. The jacket and bag I’m wearing are vintage. Amsterdam is like a paradise for vintage fashion, which can mean retro, old & second-hand clothing, usually at least 20 years old in order to be considered a vintage piece. Because the items are bought in second-hand shops, it’s difficult to determine where they came from, as they don’t really have a brand. There are simply too many shops with vintage items in Amsterdam to mention. But walking around the city, you will surely encounter several of them. Best areas for vintage shopping: Haarlemmerstraat, Waterlooplein, De 9 Straatjes and De Jordaan. I mostly love combining these older items with new pieces. 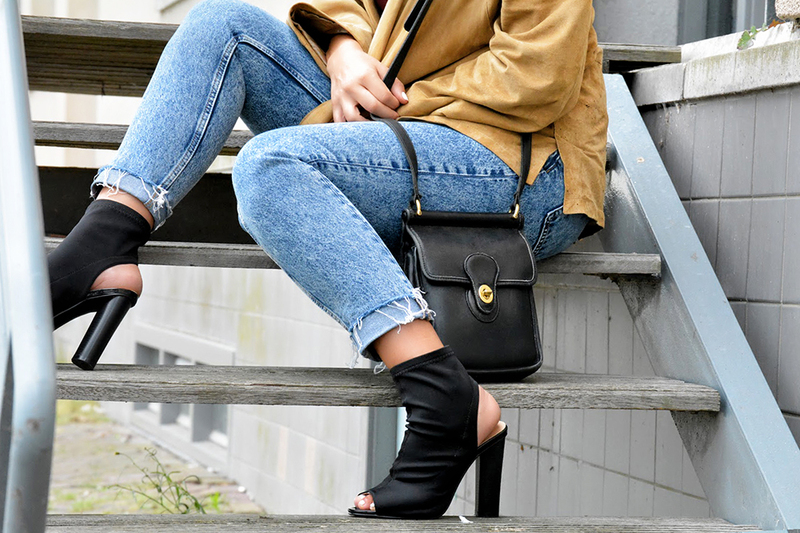 These jeans are from the latest H&M collection, top and hairband are from Bershka, and the shoes are from a shop on the Kalverstraat in Amsterdam, but don’t have a brand.